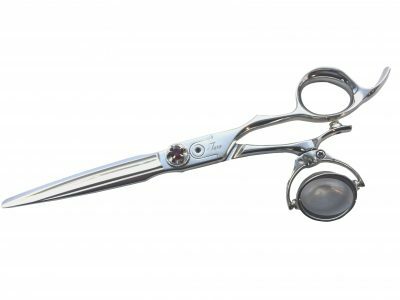 Offset handle with convex edge sword blades and ball bearing screw system. Suitable for stroke and power cutting. Can be used on Dry hair also. 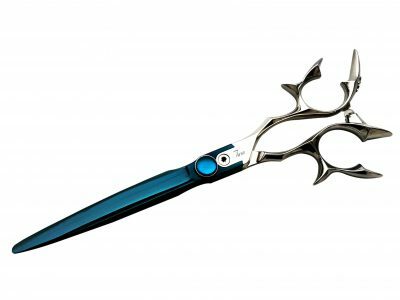 Blue titanium with ball bearing system. 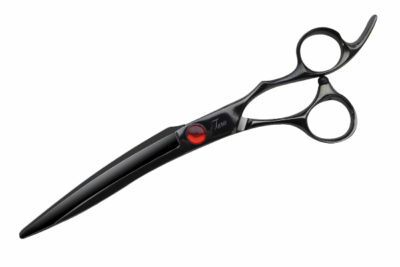 Black Titanium, Anatomic wide bent thumb for comfort and control. 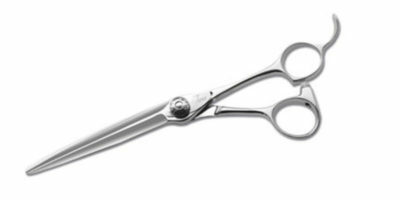 Offset handle style with super convex edge blades good for Wet and Dry cut. 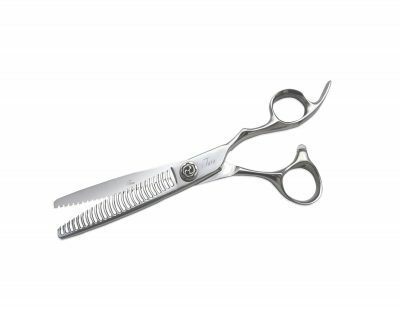 It's unique micro slit blades allow you to have creative hair style and dry cut texturizing.